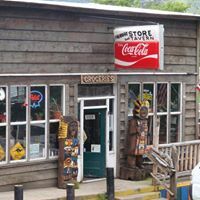 The Imnaha Store and Tavern serves hot meals and cold beer..... and is the local grocery store. Children are always welcome. During the winter months, you can come in and enjoy home cooked meals, prepared by Sallie Tanzey. The tavern has bait and tackle for all you fishermen out there. Dave and Sallie also own The Imnaha Motel, aka Motel 3. Because it only has 3 rooms. There's also trailer and RV hook-ups. They also offer game hanging, to keep all your trophies cold. On the Main street of Imnaha, CAN'T MISS IT!